Following Jesus Will Cost You! Is this verse a warning given to those who will become followers of Christ? The answer to that question is a definite–yes! Confirmation that you are a follower of Jesus Christ is that you are despised for His Name. The God of the Bible is unique and separate from the plethora of false gods worshiped by the world. Satan, who dominates the evil world system, is identified in scripture as the “prince of the air” and “god of this age” and it is he who instigates the hatred towards Jesus Christ, and His followers. The One True God, Yahweh or YHVH (tetragram) is the object of Lucifer’s abhorrence and detestation. JEHOVAH is separate from all other false gods because His Name denotes the eternality, immutability, and uniqueness of His nature. He is also Judge and Lawgiver Who has hatred (Psalm 5:5), Enmity (Nahum 1:2), and Vengeance (Deut 7:9-10; 32:39-42) towards the sinner every day. These same attributes and identification of YHVH was applied by the Lord Jesus Christ to Himself in chapter eight of the gospel of John as confirmation of His deity. Therefore, hatred or rejection of One was in fact denunciation of Both. Mere association with Jesus or the God of the Bible sparks anger and hostility towards (by the world) those who represent Him. Why is there such antagonism and resentment towards true believers or followers of Christ? Jesus tells us that because of His coming the world has no excuse for their sins and that He testifies that its deeds are evil. Christ followers who demonstrate intimacy, love, obedience and fruitfulness will invoke a similar response from the world. Men and women who reject Jesus Christ (as Savior) do so by choice, not out of ignorance. A similar example is revealed in the relationship or interaction between Jesus and Judas as recorded in the gospel of John. Judas having been selected by Christ to be His disciple was specifically chosen because God knew that he (Judas) would be the fulfillment of Biblical prophecy. “…and none of them is lost except the son of perdition, that the Scripture might be fulfilled” (John 17:12) Judas loved the present world and would benefit monetarily by betraying or benefits, deliberately offering Jesus to him by the chief priest for thirty pieces of silver. Notwithstanding, Jesus offered to Judas (the same night) the opportunity to confess, plus, repent of his disloyalty and to become a recipient of His forgiveness. His final act of love towards Judas is demonstrated in the passing of ‘sop’ to Judas during the last supper. “It is he to whom I shall give a piece of bread when I have dipped it…”(John 13:26) According to Jewish tradition, the host (Jesus) would designate the first morsel of food to the special guest as a way of symbolizing friendship. Similar to Joseph’s brothers, Judas was unwilling to turn from his (satanically inspired) plot against Jesus which would eventually lead to both his physical and eternal death. As servants of Christ, each believer will or should expect to experience similar circumstances to those endured by our Master during His earthly ministry. The ‘world’ (kosmos) refers to the created moral order in active rebellion against God and His followers. The Words of Christ, when spoken against the captives of this world system, bring opposition, hatred, suffering, and in some cases even death. Jesus clearly warns (verse above) all who believe in Him that they too will undergo persecution. Do the Words of Christ coincide with the mindset or approach to ministry by today’s church leaders? Stay tuned for part two of this message. This is not an article on predestination or election, even though I could use the words of Christ to support each, but rather a note about suffering. Those of us chosen of God were specifically selected by Jesus Christ our Lord to bear fruit that would last throughout eternity. A good tree will demonstrate spiritual fruit such as godly attitudes (Gal 5:22-23), righteous behavior (Phil 1:11), praise (Heb 13:15), and leading others to faith in Jesus Christ (Rom 1:13). 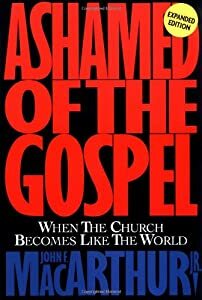 Since I am an evangelist and was ordained by God to share the gospel with lost people I would like to discuss a view of witnessing rarely mentioned in Christendom. We hear much about tens, hundreds, and even thousands of people professing faith in Jesus Christ every year as a result of outreach or evangelism events (Crusades, Blitzes, Church Services, etc). Baptism figures totaled at the end of the year by Church and Para-Church organizations are used to provide evidence that their outreach efforts were productive or successful. Nevertheless, it is important that believers consider suffering punishment, imprisonment, rejection, hardships; etc for the gospel as a form of fruit bearing. As example that strongly supports this statement is revealed in the life of the Apostle Paul. Consider his calling as revealed in chapter nine of the book of Acts. This great evangelist was told (by Jesus) that he was not only a “chosen” instrument but would “suffer for My names sake.” Our Lord foreknew that Paul would experience beatings, stoning, shipwrecks, imprisonments, hardships, hunger, thirst, sleepless nights and the like for preaching the gospel to both Jews and Gentiles. Nevertheless, Paul and other messengers of God throughout both the Old/New Testaments as well as church history experienced similar circumstances. John Fox records in his book Fox’s Book of Martyrs the testimonies of hundreds of men and women who throughout church history suffered to the point of death for evangelizing the world. This would include Stephen, the Apostles, Christians under Nero, Domitian, Trajan, Christians in living Persia, France, Calabria, Bohemia, Germany, Lithuania, Poland, China, Japan, Spanish America, Great Britain, Ireland, Scotland, United States, India, West Indies, Inquisitions under the Papacy, etc. Men like John Wickliffe, Martin Luther, John Calvin, Charles Surgeon and the like all suffered some form of persecution for their faith and for preaching the gospel of Jesus Christ. Would emulating the sufferings of Christ be considered bearing fruit in the eyes of God? Scripture records that before the Bema Judgment seat of Christ, believes are rewarded for their fruitfulness. The Bible mentions at least five rewards and two of them pertain to leading people to Christ known as the ‘Crown of Rejoicing’ mentioned in Proverbs 11:30; Dan 12; and I Thessalonians 2:19-20. The ‘Crown of Life’ is given to those who successfully endure trials, persecution, or suffering (for His name) is mention in James 1:2-3 and Rev 2:10. Even though the current climate in our culture or world opposes the teachings of Christ, believers must (like their predecessors) be bold, plus steadfast in the proclamation of the gospel. Even if it means consequences that would cause Christians to suffer some form of ridicule, rejection, or negative repercussions for His name sake. Not only is there a reward in eternity for this sort of fruit bearing, but also an opportunity to produce fruit in this present life. Remember, God called you out of the darkness and into His marvelous light in order to produce fruit that will remain!